Hello Judges! We have a special feature for this week’s installment of Judge of the Week. For Exemplar wave #16, Irina Samonova had been chosen as your Exemplar Vanguard. So we have reached out to ask her a few questions. Enjoy the answers and you may also compare and find out what is new since the last time Irina was interviewed. Random fact about yourself: My project cantrip.ru has existed for more than 10 years and majority of today’s Russian judges were grown on it! You have been nominated to be the Exemplar Vanguard for Wave #16. What’s it like? 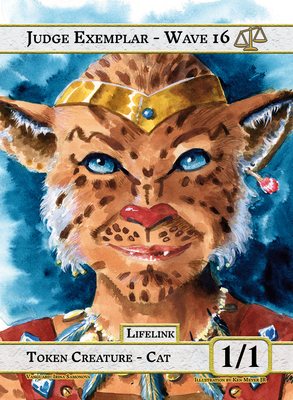 Please tell us a bit about the decision process for your Exemplar token Art. Why a cute kitten token? I’m a strong and independent woman, so… (there is a Russian meme about a strong and independent woman who owns 40 cats). I’m collecting cats. The first time I looked at Waiting in the Weeds, I was lost. 😉 Many players know about my collection and present me cute kittens. Your nomination for Vanguard is based on an Exemplar recognition written by Nikita Tarima mentioning your superb mentoring skills and willingness to share your knowledge from your years of Judging experience. What is your approach to this topic? Do you have an advice for Judges who would like to get better in this regard? Long-long time ago in a galaxy far away… I was a Math teacher at university. Math is a science that you need to really understand, not just learn by heart. Magic is the same. If you can understand the mechanics, you can resolve any interaction. Therefore, if a player asks you a question at a tournament, you provide the answer and a short explanation. If player asks you a rule question outside of the tournament you have time and opportunity to help them to understand the base of interaction. As result, they can solve the problem themselves and become educated better. And can be proud for their own achievement. 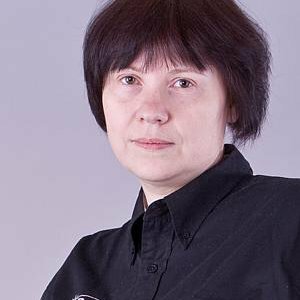 Irina, years in our fruitful collaboration and I still am fascinated by the depth and precision of your talent with teaching within the Judge Program: be it in the form of articles, conference presentations, dialog with the readers or players at the tournaments, or work with other judges. It is true that vast experience defines a lot of it, however you still keep making sure that the person listening to you could come to the conclusions by themselves, by taking a moment to hear what you’ve said, process it, analyze and consolidate the resulting knowledge. I admire the work you’ve done at the Judge conference and at the Russian Nationals last summer: working and mentoring others at the same time, with a smile, is not a trivial task. Not only you have proved this task can be done, but it can be done with great success and with high quality results. You are a kind of judge every large tournament needs so that the quality of our community could keep rising. Thank you for your fantastic work. You can read more about Irina’s selection as the Vanguard on the Exemplar Project’s blog. 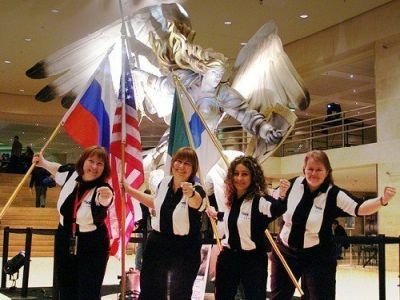 It was Worlds 2006 in Paris. 256 mostly French-speaking people were playing a Legacy side event. There were only two judges for the whole tournament, two Russian-speaking judges. It was near 2 a.m. Blast from the Past – can you identify who are these magnificent judges? Grand Prix Moscow 2012. We definitely need more GPs in Russia. The main challenge is the lack of time. You can’t be a good judge, if you don’t judge. Theory is only theory. Only practice shows that you really know and that you need to improve. So, I try to judge regularly. Judge, make mistakes, work on them, ask colleagues for help if need be. During all these years, I met many cool judges and all of them are my mentors. But I would like to say special thanks to 3 people: Vyacheslav Grebenyuk , Ivan Petkovic and Riccardo Tessitori . There are people in Russian community who have been playing Magic for decades. 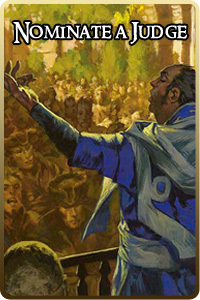 For most of them MTG is not just a game, it’s a mode of life. “Mages are friends” — that is the motto. Communication skills, stress management, ability to make decisions and public speech skills. Be honest, be reasonable and have fun. The moments when people come to me at tournaments and thank me for articles I write. When they ask for an autograph and make selfies with me, I feel a little confused. Travelling, photography and cooking. I like to make pictures and write about them at my website summoning.ru. You have visited many countries and cities during your Judge career. Which trip was the best one? Which places are still waiting on your list? Yes, I have visited nearly 20 countries. The most interesting was the trip to PT Kyoto. Japan is weird from the European point of view. Beautiful, alien, tricky. Many places are waiting. Ireland, for example. There is something unsettling about the fact that a Guinness fan like me has never been to Ireland. Two tickets to Dublin, please. Greenseeker card made 3D by Irina. Making 3D cards from my card pool. My good friend told me about the Shandalar game. I think it happened in 1998. I played Bone Splinters as an Executioner’s Capsule and put it on the battlefield. The opponent wasn’t against it. I noticed the next turn and called a judge. He was surprised. Happiness. To everybody. Free of charge. Once, I disqualified a player and he was thankful for that. I judged many tournaments before becoming level 1. While serving as a judge at a Grand Prix, I caught a bride’s bouquet. Zie Aun Tan was in the hospital for a week for dengue fever yes, but didn’t have his cards with him.